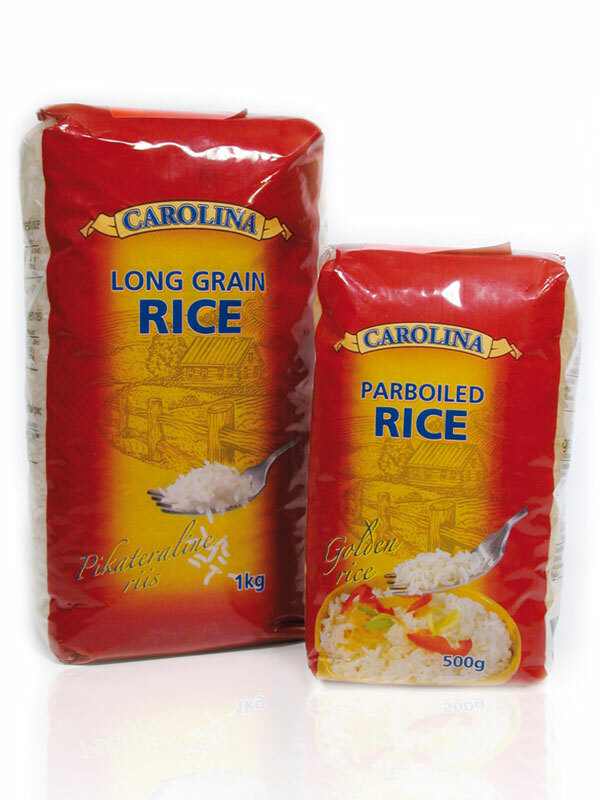 A series of 4 varieties of rice with multiple elements on the pack facade communicate the product. A transparent strip at the sides displays the rice, and a scale to help measuring rice was smartly combined with the non-printing area of the plastic weld on the back. Product info text is in 7 languages for Baltic markets. There was close cooperation with pack printers and client new packaging machine supplier. Pack design is coordinated with a reclosure sticker.